Erwin Schroedinger's book What is Life? had a tremendous influence on the development of molecular biology, stimulating scientists such as Watson and Crick to explore the physical basis of life. Much of the appeal of Schroedinger's book lay in its approach to the central problems in biology - heredity and how organisms use energy to maintain order - from a physicist's perspective. 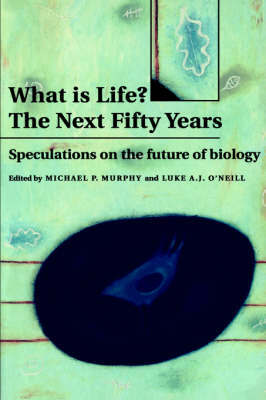 At Trinity College, Dublin a number of outstanding scientists from a range of disciplines gathered to celebrate the fiftieth anniversary of What is Life? and following Schroedinger's example fifty years previously, presented their views on the current central problems in biology. The contributors to this volume include Stephen Jay Gould, Roger Penrose, Jared Diamond, Manfred Eigen, John Maynard Smith, Christien de Duve and Lewis Wolpert. This collection is essential reading for anyone interested in biology and its future.